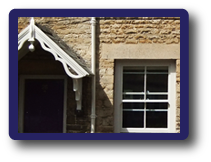 Extensive works and repairs to our doors and windows were carried out recently. We were delighted with the result and quality of the finish, which were completed in a professional and timely manner within budget. I was a delight to have commissioned Craig and welcome the opportunity to recommend his services to others. I have known Craig Marles for over 20 years. During this time he has carried out both internal and external painting and decoration work for me, both in a personal capacity and for various property owning clients. 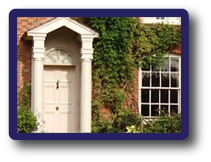 He is also capable of carrying out repairs to windows and doors, which is extremely useful when dealing with let properties. Craig Marles has provided good service over the years and I am confident that our working relationship will continue happily for many years to come. In my opinion Mr Marles is a competent and professional painter and decorator and he has undertaken a number of contracts for me, both personally and through my business for many clients, over several years. He is capable of a number of styles of decorating and of particular relevancy is his ability to undertake a variety of minor repair works in association with his main business of decorating. 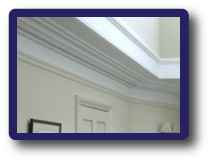 Craig Marles has worked for me on internal and external decorations for more than 15 years on many different projects involving painting, paper hanging and carpentry repairs etc. He has been entirely reliable, efficient and conscientcious in all aspects of work. He always finishes the project on time and often goes "The extra mile", he is a pleasure to have around our home and I would heartily recommend his services. Mr Marles made a lovely job of painting the exterior of my house, he had to carry out many repairs to the woodwork and replaced a couple of windows which looked very good indeed on completion. He was very helpful in giving me advice on the colour scheme, although the door colours were my own eccentric choice. Above all it was very pleasant to have him around, he was friendly and not at all intrusive. Very highly recommended..